Tired of seeing your services viewed as commodities? 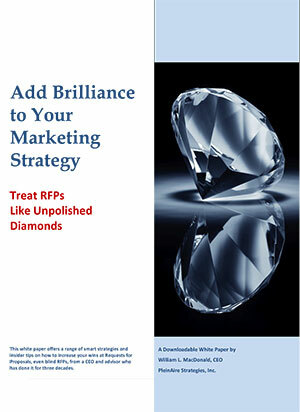 Do those dreaded RFPs steal away time from your firm’s busy schedule? If you’re ready to win more RFPs, we’re ready to help. Take a second to fill out the form below, and we’ll send you our RFP paper post-haste. And thanks for your interest.